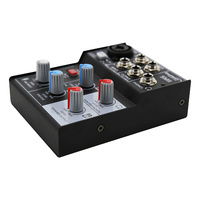 Compact bus powered 3 channel mixer featuring 1 Mic/Line/Hi-Z combo input, 2 stereo 1/4 inch line input, monitor outs, headphone out, simultaneous USB playback and recording with USB playback level control (independent of record signal path). 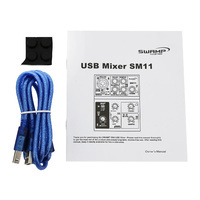 The SM11 might be small, but with 3 input channels, main outs, a headphone out and a USB audio interface, this mixer has everything you need to start mixing and recording. 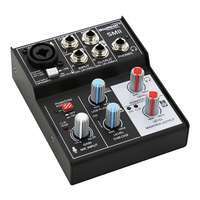 The XLR / TRS combination input is capable of accepting microphone level, Hi-Z instrument level (guitar) or even line level signals. 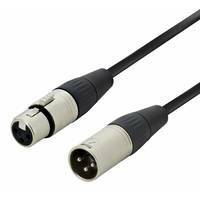 The 2/3 mix channel with stereo 1/4" line input allows for connecting to keyboards or other line level instruments. 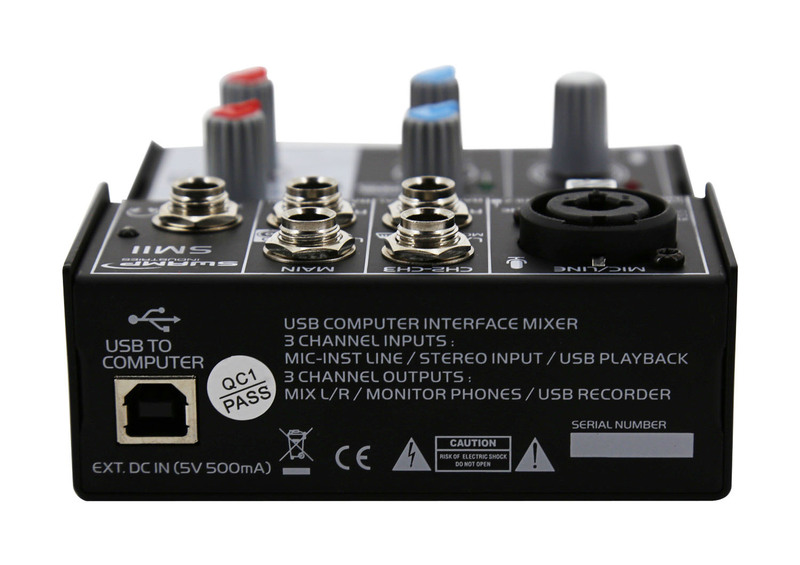 On top of this, the AD/DA USB interface allows for simultaneous recording and playback without affecting the recorded signal, making this little mixer the perfect hub for a small computer-based recording setup. 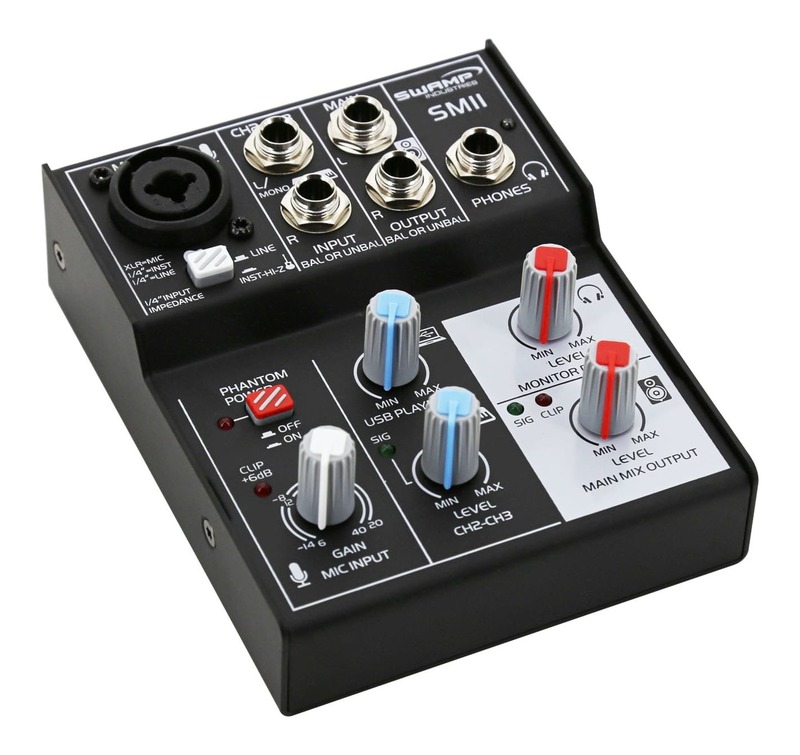 Whether starting out in the recording game or needing to record on the go, the SWAMP SM11 provides all the functionality of a 3 channel analog mixer as well as USB soundcard for PC, MAC or laptop. 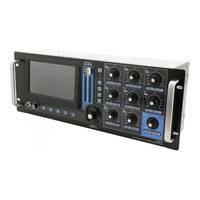 All this functionality is bundled into a tiny steel chassis, making the unit a highly convenient desktop or portable recording solution. 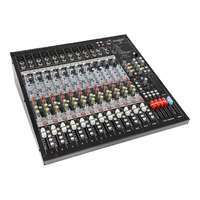 The mixer is powered via its USB port so there is no need for additional power supply clutter when connected to a USB device. 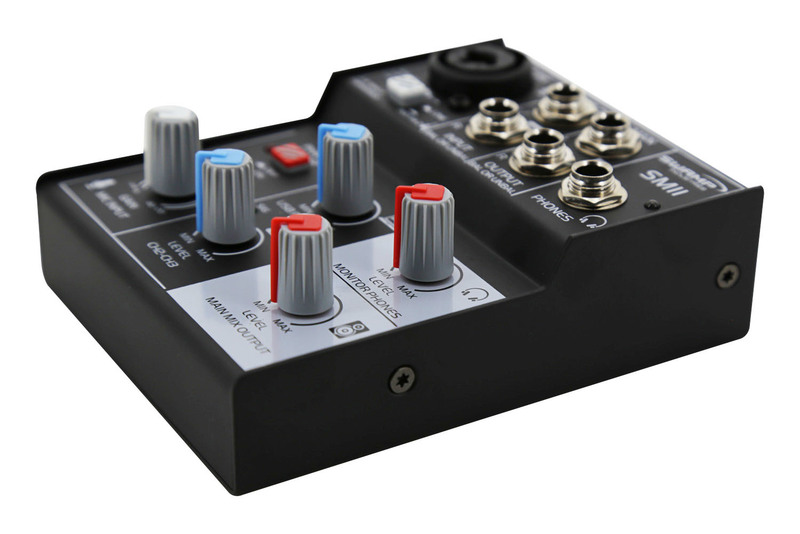 The SM11 also includes a 1/4" / 6.35mm headphone output, which allows you to monitor (hear) yourself whilst recording. This in turn allows you to playback a pre-recorded track while you are recording another over the top. 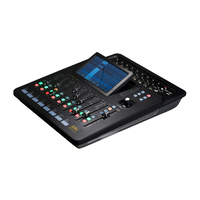 Adjust the playback/monitor ratio easily with the USB Playback control, and the output volume with the Phones or Monitor control, depending on how you're listening.This professional functionality comes at a fraction of the cost with the SM11. 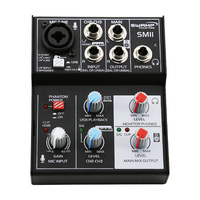 Channel 1 on the SM11 includes an impedance switch which effectively turns the channel into a high impedance Guitar DI, allowing guitars to be plugged straight into the mixer without the need for additional DI boxes. This means one less piece of equipment to transport and set up! 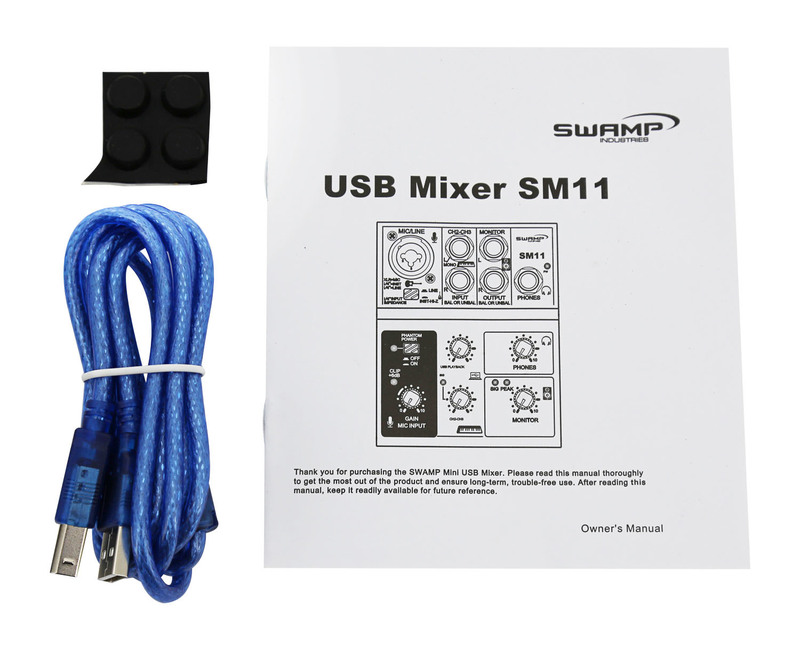 The USB interface that's built into the SWAMP SM11 is fully compliant with USB 2.0 specification. 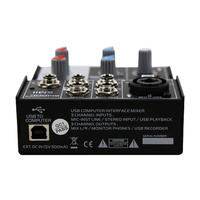 It will work with the USB audio device drivers built into Windows 98SE/ME/2000/XP/Vista/7/8/10 and Apple OS9.1/OSX computers with native USB support. No special drivers are needed. On both Debian 9 and Ubuntu 18.4 systems this device works perfectly as soon as it was connected - no drivers were needed. I added a Rode VXLR+ so I could connect the PC headset's microphone and got much better quality sound than the onboard soundcard in my computer. 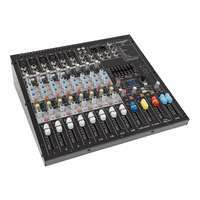 USB playback sound quality was noticeably better than my 7 year old brand name 8 channel mixer. 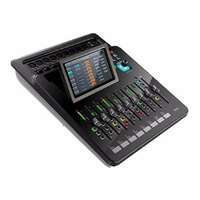 I like that I can use it to record from both balanced or unbalanced sources easily. The analogue side is very clean and everything feels solidly built. 've had it a few months now, and still very impressed. 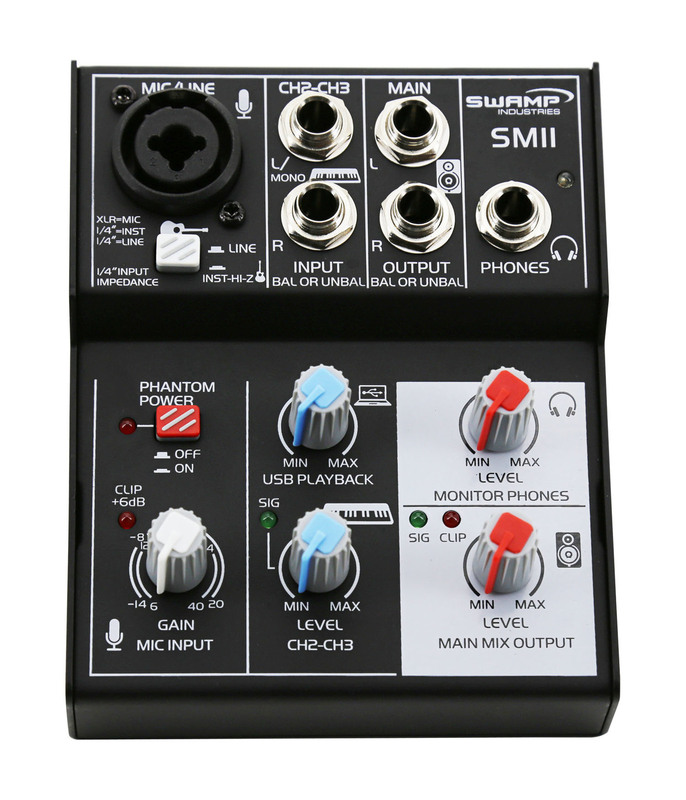 Overall the SM11 is a great way to have full and easy control over both the desktop speakers and the headset on your computer. Bought this from Swamp over a year ago and it's still performing perfectly. Exactly what I needed for my small home studio, mainly used as a practice tool and basic interface. No bugs, crackle, or any unwanted noise. The pots feel firm, smooth and even, as good as any pro-level board that I've had hands-on experience with, inputs are well-shielded. With my DI rig (guitar, pedalboard, preamp & IR loader) and the mixer connected up to my PC, jamming along to backing tracks and working with the recording software (currently using Reaper or Audacity but that may change) and I'm good to go. Solidly designed, this will probably keep on serving my needs for quite some time. If you don't need more than 3 channels, in terms of value for money this can't be beat. Have put this unit to the test and love it completely. It was definately plug and play and worked well on the standard Win10 drivers. I have mine using the Magix Low Latency drivers and it performs even better. 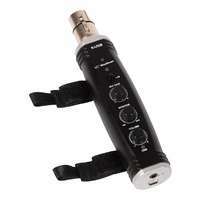 Bought this primarily to record simple tracks in portable/outdoor scenarios. Has some noise if the gain is full, but if you understand recording, it is about clear signal, not volume as such that produces a useable track. This sends good clear signals up to around the 3/4 gain (neck/bridge humbucker guitar) with minimal noise. I think the truth is, use a good guitar and this thing will perform very well. Very useable and for what we pay, great value. 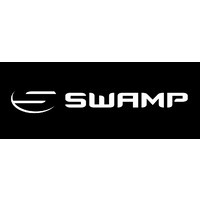 Thanks Swamp. Be test driving it tonight at rehersals on laptop battery power (which is why I needed it most). The team at SWAMP have done it again ..! Top little mixer - simple, high quality. I plugged it in and it worked the first time exactly as the promo's said it would. No configuration was needed with my computer (Windows 10). The price and value for money is amazing; and the emails just keep coming - Tim and the boys just can't do enough for you ..! I'm definitely a SWAMPie for life!